Monica is a postdoctoral fellow, working with Charlie Paull. 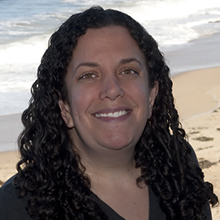 Monica received her PhD from the University of New Hampshire, in Marine Geophysics. Monica’s dissertation title is “The Relationship Between Oceanic Transform Fault Segmentation, Seismicity, and Thermal Structure”.